Nintendo has announced that online features for original DS and Wii games will no longer be available worldwide as of May 20. 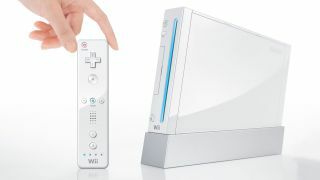 That means no online play or leaderboards for all Wii, DS and DSi games that use the Nintendo Wi-Fi Connection service, according to the game maker. The DS and Wii systems weren't known for their robust online capabilities, but this affects over 400 games total, including many that are still played today. Some of the impacted games were released relatively recently, too, such as Pokemon Black and White Versions 2, which came out less than two years ago. That said, it's not uncommon for game companies to switch off the servers for legacy games and systems after some time. And that time frame is often unfortunately short for less successful titles or when a company needs the resources, even if some players are still enjoying the product they paid for. "We at Nintendo sincerely thank our fans for their continued support of our company's legacy systems," Nintendo's announcement read. "Your enthusiasm for games made for these systems speaks to their longevity, and the passion of Nintendo fans." Wii U and 3DS games are unaffected. And thankfully Wii, DS and DSi systems will still have access to their digital game marketplaces (so you can still download games on them), their browsers, and streaming video services like Netflix. However, the 3DS's Nintendo Video app will shut down at the end of March.